A team from Spotsylvania, Virginia, races to tap a pipe at a competition at ACE18. 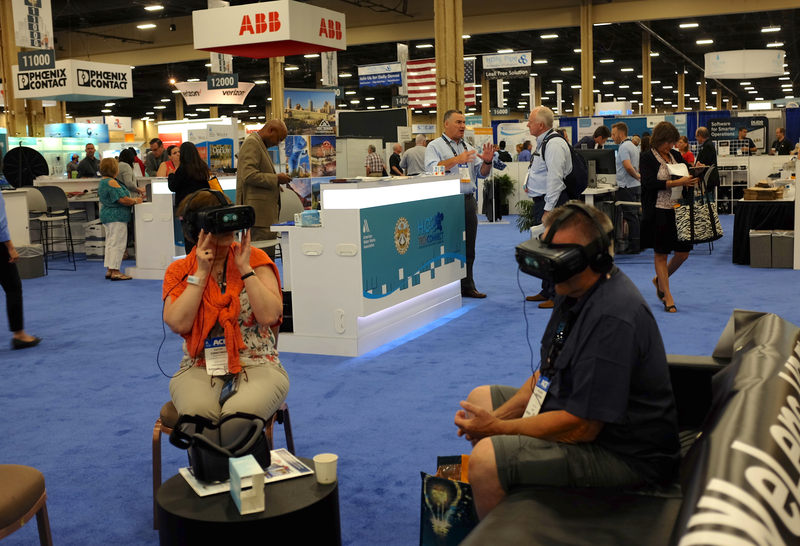 Last week, an estimated 12,000 water experts from around the world gathered for the 137th American Water Works Association (AWWA) Annual Conference and Exposition (ACE18) at Mandalay Bay in Las Vegas. 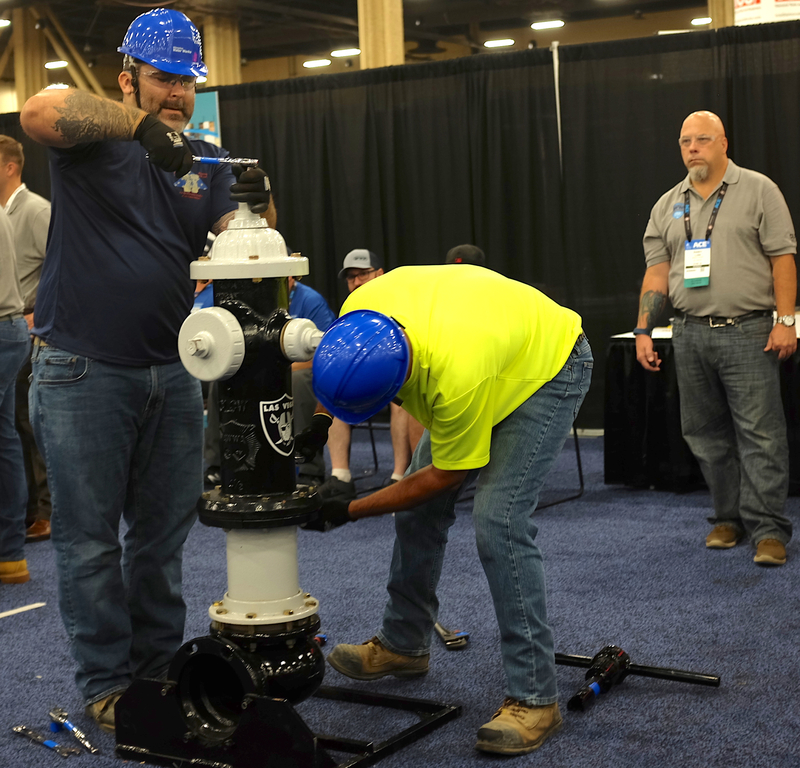 Some of the highlights of the show were the Hydrant Hysteria competition and the Pipe Tapping Contest, which feature teams of utility workers racing to build hydrants and tap into a cement-lined ductile iron pipes, respectively. ACE18’s list of professional learning tracks included Water Utility Management and Leadership; Small Systems Management & Operations; Financing, Rates and Affordability; Water Policy & Regulatory Actions; Asset Management; Infrastructure Design, Management and Project Delivery; Preparedness, Resilience and Cybersecurity; Water Use Efficiency Practices; Water Resource Management and Potable Reuse; Water Quality Challenges; Advances in Water Treatment; Distribution System Management and Operations, Wastewater and Stormwater Management; Operator Forum, and Poster Sessions. 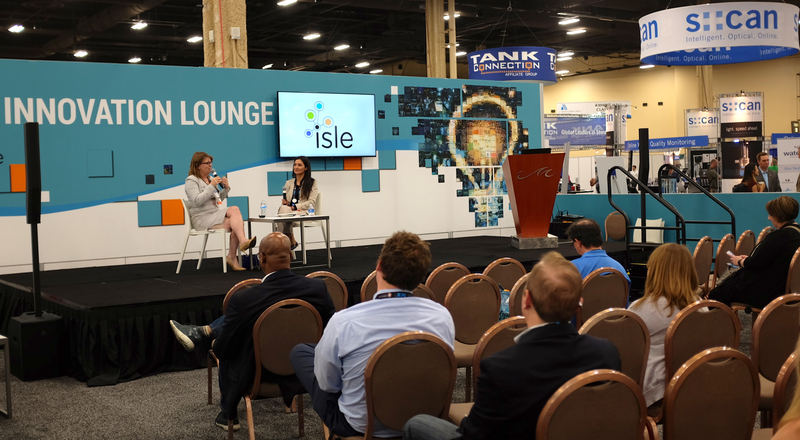 Another centerpiece of the conference was the Best of the Best Tap Water Taste Test, in which the winners of regional water-tasting competitions gathered before a panel of expert judges to find out who had the best tasting water in North America. The winner was the Alderwood Water and Wastewater District of Lynnwood, Washington. Second place went to the city of Sherbrooke, Quebec, while third place went to the city of Moline, Illinois. Thanks to all those who stopped by to visit us at the COLE Publishing booth during our time at the show. If we missed you at ACE and you’d like to get in touch to share a story idea, email anthony.drew@colepublishing.com.